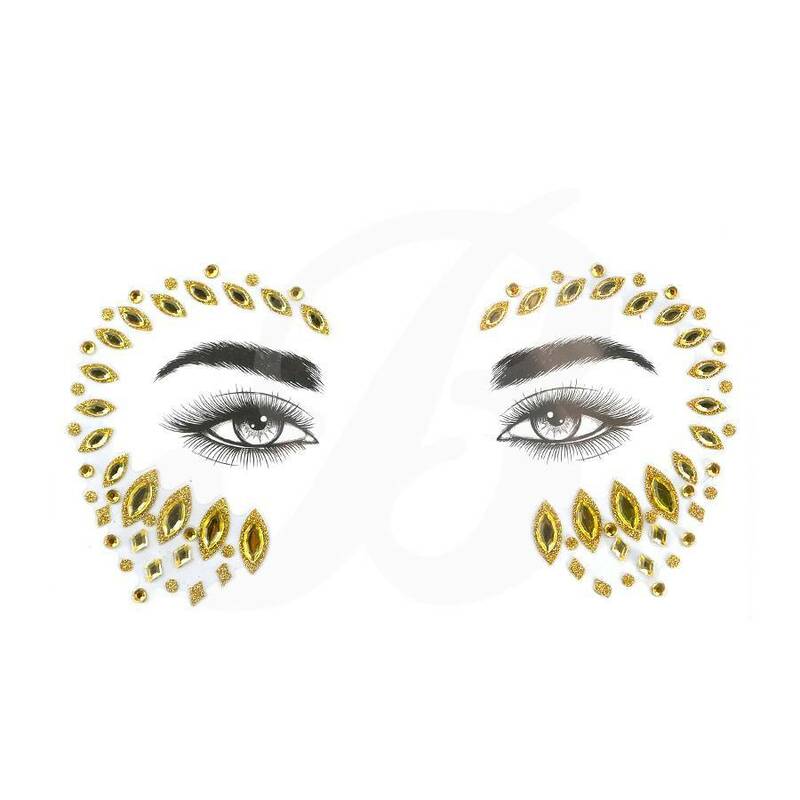 Festival Face Face Gems Pasha Gold Glitter are beautiful gems for creating the ultimate party or festival look. These face jewels are handmade from the best quality materials, so the stones stay perfectly and long lasting. 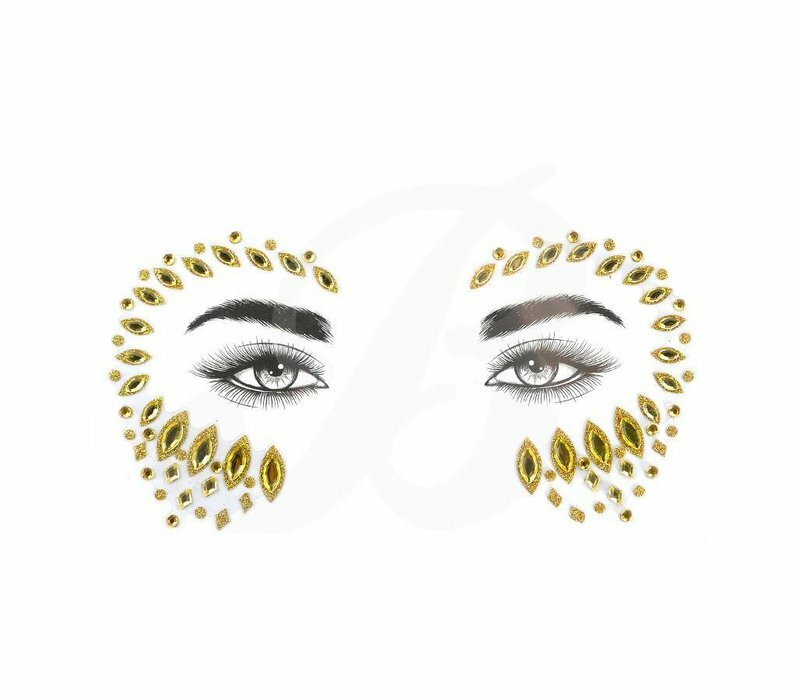 The gems contain a peel-off and are self-adhesive, making them instantly and super easy to place on the face without the need for glue.